Easing into an armchair in a Salt Lake coffee shop—the Wasatch Mountains in their full autumn splendor outside the window—Beth Lopez takes a relaxed pause, savoring a long sip of her extra-large coffee. 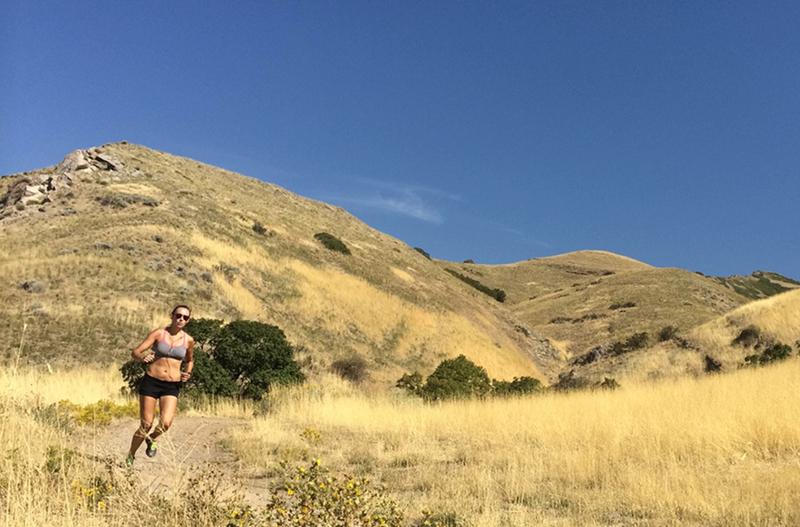 Lopez takes her outdoor playtime seriously—enough to wedge trail running into a schedule packed with full-time ad agency work, freelance writing, and a slew of time-consuming personal interests like yoga and classical piano. For her, running is more than a passion: It’s an escape awash with endorphins, a way to decompress from the other demands in her life. Back in her early twenties, Lopez ran on occasion, but she didn’t see running as a major part of her life. Ski touring, climbing, and hiking captured most of her attention. But several years ago, a close friend recruited her to join her company’s Wasatch Back Relay team. The overnight race would be demanding: It would require running a total of about 15 miles in three segments within 24 hours, with the final four-mile segment gaining about 1,700 feet in elevation. She would have only three weeks to train. “I was sure it would be miserable. But, for the sake of an adventure, I said why not. I’m all about character-building, right?” she says with solemn self-deprecation. In the end, it was far from miserable—she had the time of her life. From that day on, she was addicted to running. 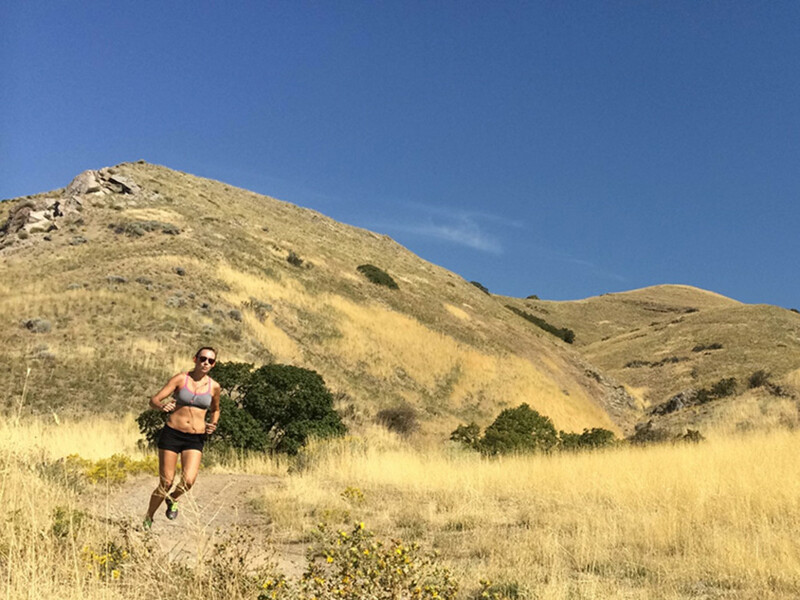 She started running on the Glenwild Trails located near her Backcountry.com office in Park City every day. She soon entered her first half-marathon and absolutely loved running it. 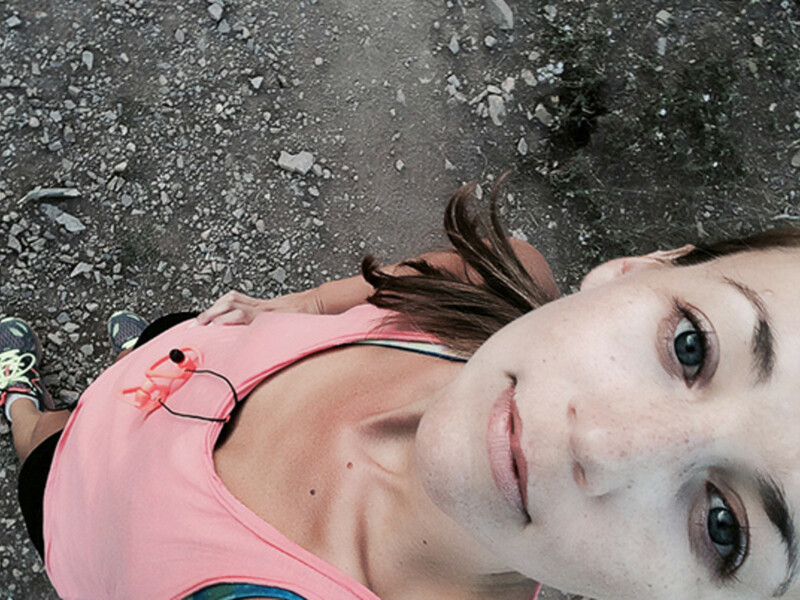 With that race under her belt, she decided that running was her official summer sport to help keep in shape. Lopez was on a running high and pushed herself constantly, entering race after race and getting more comfortable with training routines. Lopez has known the trials of running as well. After going too hard for too long, she had to overcome a series of injuries that kept her on the sidelines. Following a lengthy period of rehab and refocus, she was ready to run again. But then, just two weeks shy of the race, she was on an eight-mile run in Dry Creek canyon and suddenly collided with a mountain biker who whipped around a blind curve at full speed. His helmet hit her face, broke her nose, and knocked her out, sending her flying several feet. She landed on her back on the rocky trail. At first, she tried following orders and lying low, but the headache just got worse. To compound matters, she was having a stressful week at work and was bottling up her anger about her injury. Her head felt muddled, heavy and slow; her face was inflamed and achy. She went back to the doctor and said she felt that not having a physical activity as an outlet was making matters worse. The doctor sighed, gave her some ground rules, and gave her the go-ahead to start cautiously exercising. Things were looking up: the next day, Lopez went on a 10-mile run in Millcreek Canyon and her headache finally softened. The sun was going down, the air was autumnal and cool, and she felt soothed and alive. She went on to run her half marathon a week later, swearing to her doctor and family that she’d bail from the race if her head was hurting too much. Looking peaceful and proud, Lopez sets her coffee down and opens her notebook to share a quote that’s shaping her outlook these days.